How do I invite others to join an Office@Hand Meeting? Anyone can attend your meetings, including people outside your Office@Hand system. When you send an invitation, invitees will simply be prompted to download the app and join a meeting using your meeting ID. 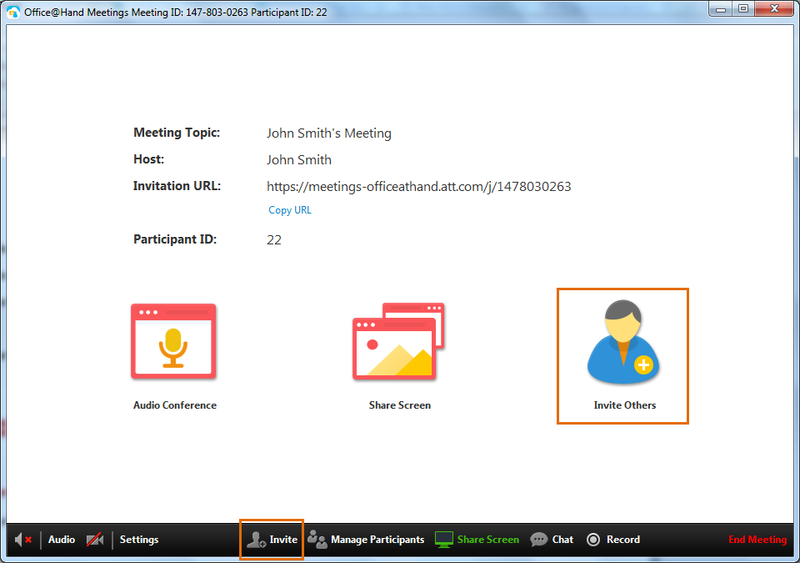 To invite participants to an active meeting, click the Invite Others button on the main screen if you do not have video turned on, or click the Invite button at the bottom menu bar. UPDATE: Office@Hand Meetings replaced the legacy dial-in number with (773) 231-9324. After the migration, the Meeting ID will be automatically validated (no need to press “1”). An error prompt appears if the meeting ID is incorrect. Meeting security will also be enhanced by making sure the phone participants cannot enter the meeting before the host when Enable join before host (Meetings Desktop app) or Allow Join Before Host (Meetings Mobile app) is disabled. 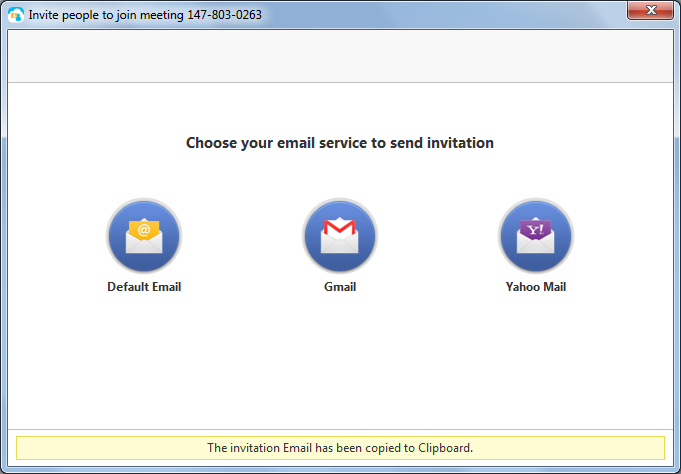 Click on Default Email (or others), and your default email will be launched and the message body will be auto populated with an invitation message. You can invite anyone or distribution list in your default email contacts. 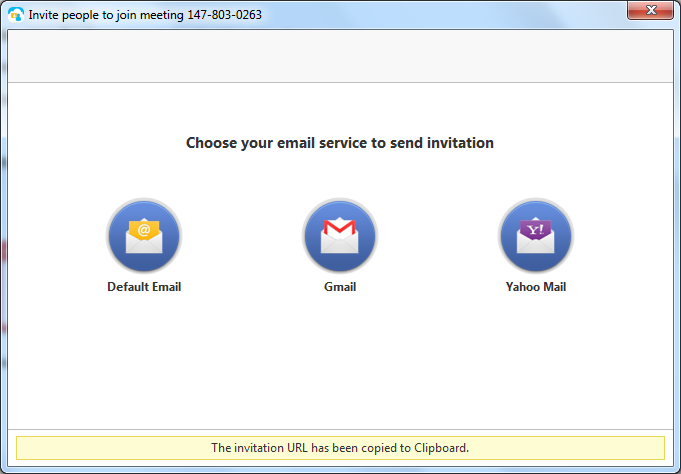 Click Default Email to use your computer’s default email program to send a meeting invitation. 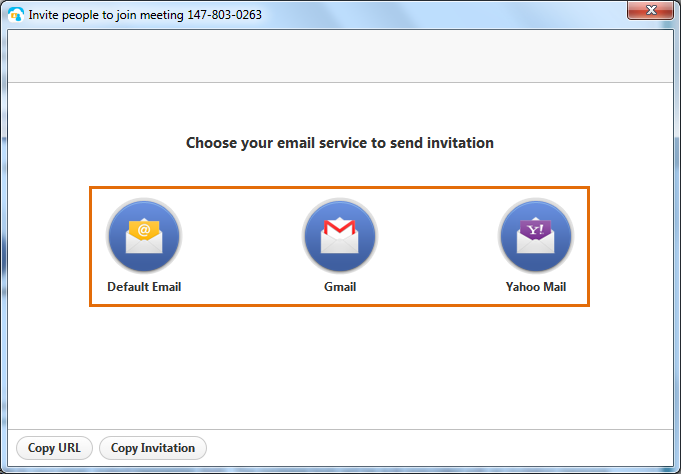 Otherwise, click Gmail or Yahoo Mail to send an email invitation via webmail. You will get a notification once the URL has been copied. You can now paste it in your email, instant messaging, or SMS. You will get a notification once the invitation has been copied. You can now paste it in your email.